Are Privacy Concerns Halting Smart Cities Indefinitely? It looks like the design of today’s smart cities may not be smart enough. In October, Ann Cavoukian, the Director of Privacy for Alphabet’s Sidewalk Labs smart neighborhood project in Toronto, resigned after learning that not all data collected from residents would be de-identified at the source. In her resignation letter, Cavoukian likened the project to a “smart city of surveillance,” highlighting privacy concerns for smart cities as her reason for leaving. So, which is more important: creating smarter, safer cities, or keeping personal data safe? The following are a few things to consider in weighing the options. Here is the thing: every project that involves data collection holds potential concerns over data privacy. We all know that cyber threats are increasing—and becoming increasingly sophisticated. We can assume that these dangers will only increase as the amount of data gathered via the Internet of Things (IoT) continues to grow. Until now, research shows many consumers have been willing to give up personal data so long as it benefits us in some way. (Exclusive shopping deals, anyone?) The issue becomes one of education and transparency. Will we, as smart city residents, know what data is being collected, how it’s being monitored, how it’s being used, to whom it’s being sold, and what will be done with it in the future? Will we have the option to “opt out” of some elements of data collection if they aren’t being de-identified? All of these questions will need to be answered clearly to assuage privacy concerns for smart cities. Also, there’s a deeper philosophical element to smart cities too. At what point does the data collection become too much? A government entity will have access to tons of information about its citizens. Do we need to be wary of a situation like that? When is privacy more important that convenience? I don’t have an answer for that because I think it’s a very fine line and one each person needs to figure out. Just something we all need to be aware of. 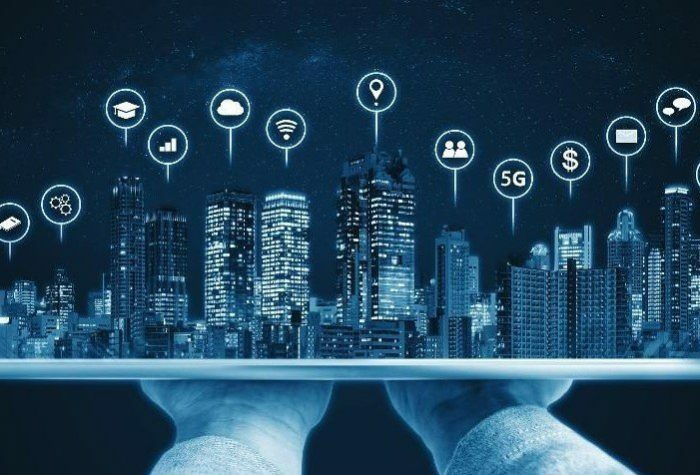 Just as the General Data Protection Regulation was recently passed in Europe, there will need to be some policies developed in the United States that govern privacy concerns for smart cities and their development. Until now, technology has been advancing incredibly quickly, and it’s been difficult for legislation to keep up. In my opinion, we need to stop and take a breath to get on the same page regarding smart city data laws. We won’t see smart cities develop on a mass scale—in a strategic, non-fragmented way—until we’re able to resolve some key issues. I think data protection needs to happen at a federal level too. There are state laws for data protection that some forward-thinking states, like California, have on the books, but it needs to be consistent across the country. Citizens, regardless of location, need to be protected. As much as we would like to de-identify all data at the source, as consumers we also know there are benefits to making our personal data available. As noted above, we all appreciate personalized shopping experiences. We like when our GPS sends us directions to the place we’re most likely to visit at that time of day—without us even asking. We love that Netflix always seems to know which new series we’ll like before we’ve even heard of it. The same is true when it comes to personalized data in smart cities. What if the IoT could help orchestrate green lights on your drive home in anticipation of current traffic conditions? What if the IoT could sent garbage collectors to your house as soon as your garbage can is full, rather than waiting a few days until it overflows? What if you could know your child’s every move, whether they were carrying a smart phone or not? Would privacy concerns be worth it, in the name of ensuring their complete safety? Again, I don’t have answers for these questions. But I do think we need to discuss the answers in order to move forward. Right now, our country—and the world—are divided over the use of AI and the IoT to monitor/support/surveil residents of smart cities. The public in general is becoming more aware of privacy concerns for smart cities and how algorithms (or biased algorithms) could impact their life experiences. To create lasting smart cities, we all need to work together to determine a workable standard to keep residents safe. We need to determine whose responsibility it is to keep data safe. And we need to ensure complete transparency as a checks and balance system. Will privacy concerns for smart cities create a roadblock for their development long term? In my view, no. We as a country—and even the world over—are far too interested in doing things faster, smarter, and more easily that I do believe we will continue to offer our data up to companies working to improve our lives through connectivity. We may complain about it—for instance, the anticipated influx of text ads, marketing phone calls, and sponsored Instagram posts—but I don’t think we’ll see a huge halt to smart city development. That is, until we experience our first major breach. The original version of this article was first published on Forbes.